Learn more about the history and legacy of The Salvation Army around the world. Or click the button to learn more about our local leadership. The Salvation Army has been around since 1865. An itinerate pastor named William Booth started the organization as a grassroots effort with boots on the ground in London. He didn't have buildings, but he did have a dedicated following who saw desperate need among the poorest of people, and took to the streets to offer help. What better way to be recognized by those in need? As the organization grew, Booth used military-style rankings to define the hierarchy of leadership. Leaders adopted a uniform apparel that mirrored military styles. Their mission was to serve others in Jesus' name: meeting not only physical needs like food and shelter, but also spiritual needs. Booth described their work as providing "soup, soap and salvation" - eventually changing the organization's name to The Salvation Army. Though we started as volunteers, over the last 150 years The Salvation Army has grown into a multinational organization with volunteers, full-time staff, and officers that serve those most in need without discrimination. Operations of The Salvation Army are supervised by trained, commissioned officers. They proclaim the gospel and serve as administrators, teachers, social workers, counselors, youth leaders, and musicians. These men and women dedicate their time and skills to a lifetime of service Doing The Most Good. Church members of The Salvation Army are called soldiers. Along with officers, they are known as Salvationists. To learn about and connect with our local leadership, please visit our Who We Are page. 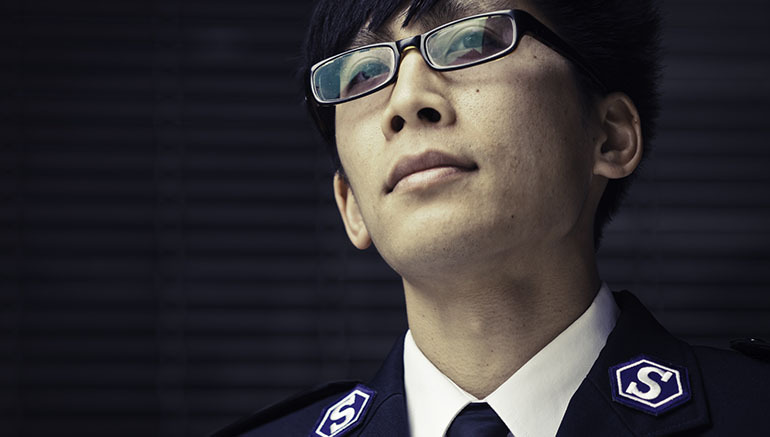 Because officers function as directors of our business units, they are required to complete a two-year program at The Salvation Army's accredited training college. The curriculum provides extensive instruction and guidance, including nonprofit management, business administration, and theological studies. Upon graduation, students - also known as "cadets" - are ordained as officers and given their first assignment Doing The Most Good in a local community.